As a person who keeps messaging a lot either with your friends or family members, it is well known that SMS apps can take lots of space on your Android Phone. 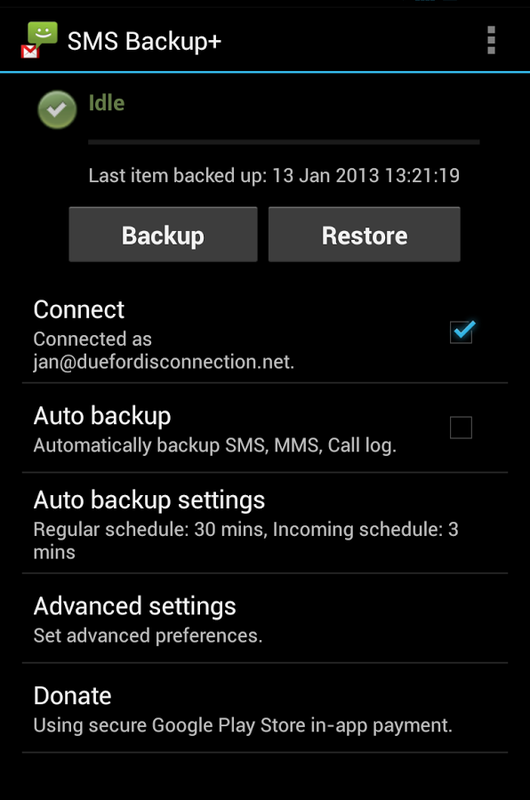 For starters you can backup SMS on Android by transferring your message files to your personal computer. There are various programs like the Android Assistant which comes with an excellent backup functionality. You can use it to export messages from your Android device to computer in a very effortless way. You can backup SMS on Android in a very simple way and you can be sure that your SMS will be completely safe when stored in your PC. Another option available to backup SMS on Android is by doing the backup to your Gmail account and this is an incredibly simple thing to do. Here, you will need a program such as SMS Backup+ that will help you get the job done. After installing the program, start by analyzing your messages after which the list of SMS will be displayed. Then, export your messages and they will be safely stored and you definitely have nothing to worry about even if you happen to lose your original messages. You can easily backup all your precious messages conversations with these programs designed to help you backup SMS on Android.